Looking for travel inspiration? My travel ideas come from all over the place, from Instagram and Pinterest to the mail shots and brochures that land on my doorstep. But there's a wave of cruise magazines out there eager to satisfy your thirst for cruise knowledge and travel know-how. Here are my top picks (in alphabetical order). Straight from the USA comes this quarterly trade magazine. Cruise Industry News is a respected outlet, and is often first to break cruise news. They also secure interviews with the movers and shakers of the industry. This magazine is less about inspiration and more about business strategy, corporate insight, and a glimpse into the inner workings of a fascinating industry in the tourism sector. That said, it still covers ship reviews, emerging technology, onboard services, and ports of call, albeit with a keen eye on the business side of things. Who is it for? This is better suited to industry professionals and those that prefer a look at the business and economics of running a cruise line. Where can I buy it? UK readers will need a subscription to find it on this side of the pond. Can I subscribe? It's pricey at $110 (&thickapprox; £86) for four issues here. USA residents can get it slightly cheaper. Don't be fooled tough as the latest issue reaches beyond 192 pages, almost making this more of a book than a magazine! This is probably one of the best known cruise magazines in the UK and has been going for years. 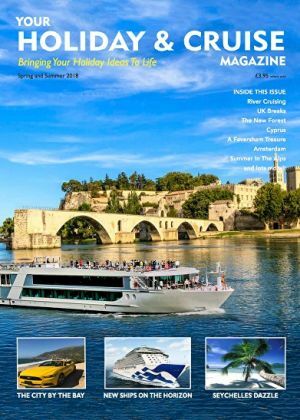 Inside you'll find a mix of content with a range of articles on ocean cruising and river cruises. 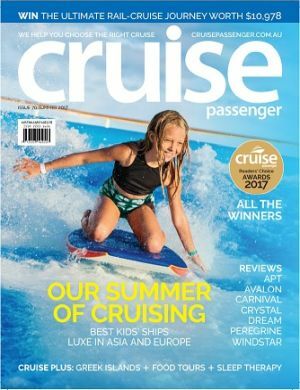 Each month you will find features covering aspects such as cruising solo, the latest trends, destination guides, interviews, and more. You'll usually find list-style articles such as '150 holiday ideas' or '101 cruise deals,' giving you a big 'ol helping of inspiration right there. 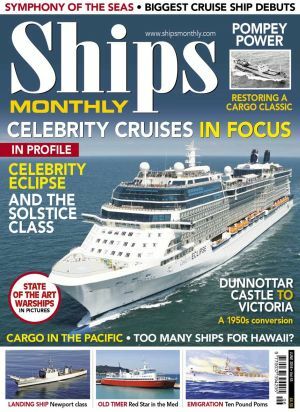 Each edition also normally includes a range of staples including cruise news, fashion and gadget shopping advice, plus a reader Q&A section. Top tip: If you are heading to events such as The Cruise Show, they usually run show-only subscription deals. Who is it for? Anyone who loves travel in general as well as cruise addicts. It's a "something for everyone" magazine that anyone can flick through and find something they like. Where can I buy it? It can be found in newsagents across the UK. Can I subscribe? It's £19.95 by Direct Debit for six issues here°. International subscriptions are available at a premium. Cruising is big business down under, and Aussie title Cruise Passenger is a shrine to all things nautical. While there's a bias towards cruise news and itineraries from Australasia (as you'd expect), the publication also covers a wide range of topics. From the best family cruises to literally the coolest places on Earth you can cruise around, you'll find a variety of features each month. On top of that, expect to find plenty of cruise ship reviews, competitions, and feature length guides to key areas of the market, such as river cruising. Where can I buy it? This can be found in newsagents across Australasia. For those of us on the opposite side of the globe, you'll need a subscription. Can I subscribe? It's AU$65 (&thickapprox; £36) for four issues here. Australian residents can nab it for a little less. 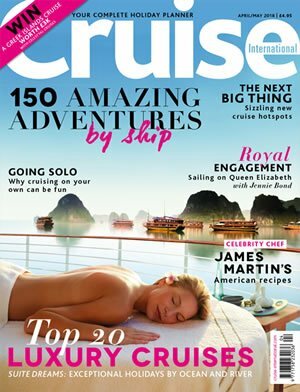 Another title from the USA is Cruise Travel magazine. Published every couple of months, Cruise Travel magazine looks at current trends in the cruise industry. You'll normally find information about new cruise ship launches, cruise ship reviews, destination overviews, shore excursions, and first-hand accounts of cruise voyages by its writers. The content covers ships and destinations worldwide, so they cover anywhere from Scotland to Mexico, and a whole lot more. Keep an eye out for the popular Letters to the Editor section, where readers vent about or praise their own cruise experiences. Where can I buy it? For those of us across the pond, you'll need a subscription. Can I subscribe? It's $53.95 (&thickapprox; £42) for six issues here. American and Canadian residents can get a year's subscription for a little less. International Cruise & Ferry Review is printed twice a year and covers all aspects of passenger shipping. While it seeks to target trade readers, the content straddles that fine line between general consumer appeal and niche geek interest. If you love learning about day-to-day operations, growth plans, and business strategy, this magazine is for you. As it's published less frequently, there's a greater scope for in-depth analysis of the previous few months - and in the world of cruises, a lot happens in a short space of time. That also means the content varies. Typically, it'll cover new builds and refits, décor and architecture, and destination trends. There's also usually interviews with high profile executives from cruise and ferry businesses, and their suppliers. Who is it for? This is better suited to industry professionals and those that prefer a look at the business and economics of running a cruise line or ferry business. Where can I buy it? Take out a subscription or read the digital version free of charge online. Can I subscribe? It's pricey at £25 for two issues here°. International subscriptions are available at a premium too. Don't be fooled though as the latest issue spans 228 pages, rivalling some works of literature! Here's another title from the USA and this cool and edgy brand is one of the most famous of them all. 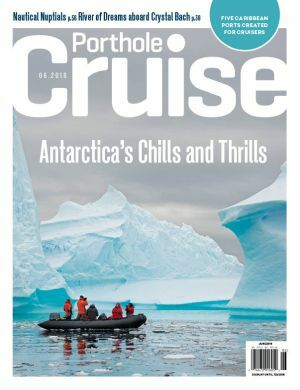 Each issue of Porthole Cruise magazine covers a wide variety of cruise themes, but you can normally expect to find features on new cruise ships, exciting destinations worth visiting, as well as some light insight into the cruise industry. Features typically include travelogues and reviews - both at sea and on land - with a keen emphasis on the unusual or the amazing. There's plenty of gorgeous photography too. Regular features include a look at retail offerings (including fashion, beauty, travel gear, and gadgets) and a look at gastonomy. You'll also usually find interviews with high profile names from the world of cruising. Can I subscribe? It's $54.99 (&thickapprox; £43) for six issues here by the time us Brits add on the international postage charges. The clue is in the title with this magazine - it's devoted to all things ship. If you crave an in-depth look at ferries, cruise ships, warships, preserved vessels, tug boats, and cargo ships, you are not going to be disappointed each month. 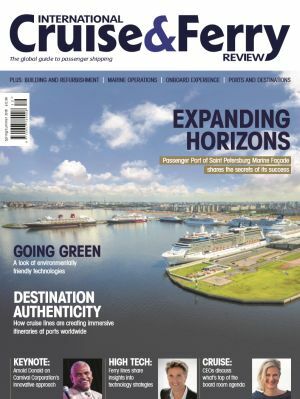 Expect to find an array of expertly written features covering a variety of ships and aspects therein, with an in-depth behind-the-scenes look at one particular vessel each month. You'll also find first-hand accounts of voyages on a variety of vessels, as well as a monthly interview with a ship's captain. Who is it for? This is for ship buffs everywhere. With a title of 'Ships Monthly' expect an in-depth look at vessels of all shapes and sizes. Where can I buy it? This can be found in selected stores across the UK. Can I subscribe? It's £54 for twelve issues here. International subscriptions are available at a premium. 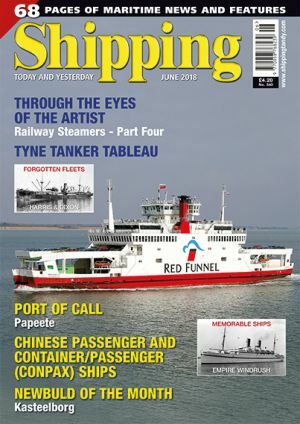 Shipping Today & Yesterday magazine is another title perfectly suited to ship enthusiasts, with a monthly look at the latest vessels and also look back at memorable ships. The title covers all areas of merchant shipping, and while the main focus is on cruise ships, ferries, and cargo ships, there's also content on ports of call, cruise news, ferry news, and shipping news. Readers contribute letters and photographs too. The unique aspect of this magazine is that it caters for fans of modern ships as well as those readers that like a nostalgic look into some of the greatest vessels ever built. Who is it for? This is for shipping enthusiasts everywhere. Expect an in-depth look at vessels, new and old. Where can I buy it? You can find this title in selected newsagents across the UK. Can I subscribe? It's £45 for twelve issues here°. Disclosure: I used to be World of Cruising's Digital Content Editor, and I've contributed articles to the magazine a few times. World of Cruising has a long history and has been developed in leaps and bounds in recent times. The magazine contains a mix of in-depth travelogues together with run-downs of the best cruises or destinations around a theme. 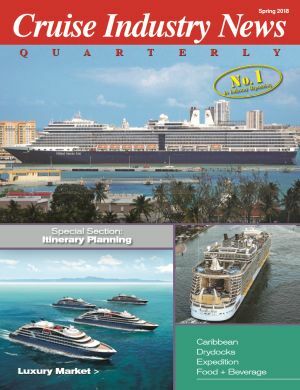 Regular features include a look at cruise news, a section that covers the latest fashion and shopping trends, and a Q&A. There's also usually some recipes, a look at spas and relaxation, plus interviews with cruise personnel or celebrities that love cruising. Where can I buy it? 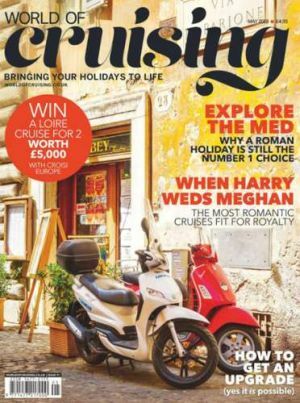 World of Cruising magazine can be found in selected stores across the UK. It's also available to pick up at selected British cruise terminals too. Can I subscribe? It's £32.99 for ten issues here°. International subscriptions are available at a premium. Your Holiday & Cruise Magazine is the new kid on the block, and it's making waves. The first issue has just launched and I was sent a promotional copy to flick through. Led by David Powell of Your Holiday TV, the team of writers for this first edition include familiar names such as Alan Fairfax and Steve Newman, as well as David himself. I like a couple of aspects in particular. Firstly, it's printed on a quality paper stock so it feels more like a good quality brochure than your average magazine. Secondly, the publication is very content-heavy, which makes a refreshing change from titles that feel like they consist of at least 50% advertisements. But above all, the content in the first issue is focussed solely on travel. This is a most definitely a magazine for ocean, river, and barge cruise fans. I look forward to seeing how this title evolves in the coming years. Who is it for? 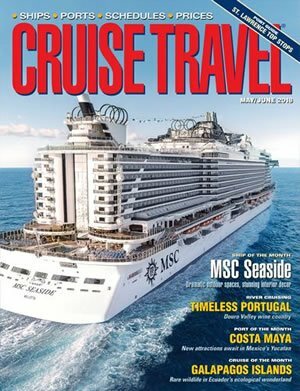 Anyone who loves travel in general although I see this cruise magazine resonating with regular sailors who love ocean, river, and barge holidays. Where can I buy it? Pick it up from a wide range of British cruise terminals, stores, and even onboard selected ferries and cruise ships. It's available free of charge online here too. Can I subscribe? It's £10.56 for two issues here. 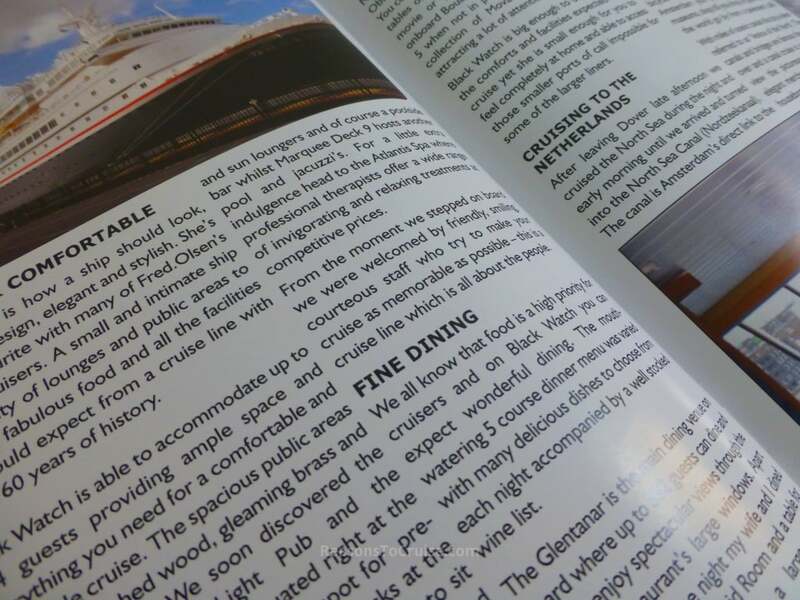 Several travel agents invest time and resources into producing their own cruise magazines. Some are really informative and could easily rival some of the titles above, while others are very minimal and are more akin to a brochure. Regardless, they still serve as inspiration and many dish up in-depth destination content, cruise news, and plenty of enticing cruise deals. There's plenty of choice too, as you can see from my list below. Some cruise lines also produce cruise magazines. Most are produced for membership clubs, some of which are available online. My experience is that I rarely receive these, so either you need to be quite high up in a loyalty club and/or you need to sail frequently to keep the subscription alive. As cruise lines are cutting costs, printed magazines are fast becoming a victim of the chop. Many are becoming digital products, which are cheaper to produce and better for the environment. Do you have a favourite cruise magazine that you faithfully subscribe to? Let me know in the comments below. Also let me know if I've missed your favourite cruise ship-themed magazine out of this list.